After BlackBerry CEO Thorsten Heins asked BlackBerry shareholders on Tuesday for more time to turn around the company, the Wall Street Journal reported that the Canadian manufacturer's head of U.S. sales had been fired last month. Richard Piasentin was let go in June as part of a restructuring that included layoffs "across middle management in the sales and support divisions." The news doesn't bode too well for U.S. sales of the all-touch BlackBerry Z10 and the QWERTY equipped BlackBerry Q10. The new models were the first to be launched by BlackBerry with its new BlackBerry 10 OS, and were being counted on by BlackBerry to reverse the company's sliding market share in the U.S. and other countries. The launch of the Apple iPhone in 2007 set off the downward spiral for BlackBerry as the management in place at the time suffered from denial and did not think that consumers would want to type on glass. Eventually, BlackBerry found itself well behind the iOS/Android duopoly and decided to develop a new operating system based on the QNX OS it was using for the BlackBerry PlayBook tablet. The all-touch BlackBerry Z10 was launched to great fanfare earlier this year, followed a few months later with the launch of the QWERTY equipped BlackBerry Q10. The company recently reported that it shipped 2.7 million BlackBerry 10 models in the first quarter, but it wasn't enough to prevent a further erosion in BlackBerry's U.S. market share to 5.1% during the first three months of the year,according to comScore. That was off from a 5.9% share last year. The latest report from Kanter Worldpanel showed an even more spectacular 85% drop in BlackBerry's Q1 market share in the U.S. to a miserly .7%. 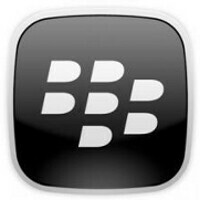 The good news for the company was that stockholders approved the change in the company's official name from Research In Motion to BlackBerry. The company had been using the BlackBerry moniker since introducing the new BlackBerry 10 phones in January. ''The good news for the company was that stockholders approved the change in the company's official name from Research In Motion to BlackBerry''. What is good in here ??!!. their name should have been rss research standing still instead of rim! Agreed RIM lost both its research and its motion years ago. Who would of thought Nokia would survive its transition and BlackBerry is having so much trouble. Nokia has great innovation and a great brand behind it not to mention the windows name also which is Huge world wide. Power Combo! BB has been in decline for years ever scince the iphone was introduced. That is when they needed to act. Their OS was waaaayy outdated in comparison. I think that they took too long to pull the trigger. Also their new phones a built very poorly. Almost to the junk level. Yea I figured that sales were weak. I think most of us here see the writing on the wall. Really enjoy BB10. Really fun. Be a shame if it never had a chance to complete. i saw this bombing from the get go and anyone else who didnt your just a damn fool.....its good to have competition in the smart phone area but when u let ur product get moldy and stale and fall as far back behind the game like BB did then u give customers a sour taste in their mouth and its hard to convince them you've changed! It's funny how Phonearena jumps on BlackBerry but hails Nokia & WP a success. Nokia & WP are only gaining minuscule market share. WP will never take off. The carriers and resellers just don't like it and refuse to support it. BB10 however, is far more powerful than WP will ever be. QNX(BB10) is in millions of cars, hospital and government computers. They already have a built in ecosystem. It's true mobile computing, unlike WP. BB10 has also only been on the market about 6 months. I know people didn't expect them to have double digit market share & enormous sales overnight, did they?? You all have WP how many years to catch up and it STILL hasn't made even the slightest dent in Android or that app launcher called CR@pple iPhone's market share. So why not just afford BB the same two plus years you've given WP and stop being so biased. Especially YOU Alan F.
WP is gaining market share weather its miniscule or not. Wp is a great OS with many features that apple in now copying. Also Nokia is innovating their phone tech. WP's Market share was gained from all three to make it 3rd and growing. Wheather it will take 2nd or even 1st only time will tell. I don't think that BB has that same Drive it used to have it will be passed off as a lesser device compared to the androids, iphones, and windows phones. WP will never become the top or second largest OS. Never. The carriers don't support it. The resellers don't support it. And the consumers don't support it. Nokia hasn't innovated since they started using WP. Maybe in camera tech, but Samsung, HTC and Sony are innovating in camera tech too. BB has more drive in it now than Nokia. At least BB has a CEO who has the interests of his company at heart. Nokia is simply doing Msfts bidding. Elop is Balmers Trojan horse and has single handedly destroyed a once great company. He's the most incompetent CEO in the history of CEO's. And that's saying a lot. And the Z10 and Q10 are far better devices to the Lumias. And BB10 is more powerful than WP will ever be. Give BB the same two years you've all given WP and Nokia. Guarenteed it surpasses them. Probably before year two. Never say never! And nokia hasn't innovated!!!! LMAO!!!! You need to read more articles about nokia here on PA! Nokia and WP are a success?? Where?? Surely not on this planet. And you're saying BB couldn't hold on to their market share, but neither has Nokia. Nokia, in fact, is the largest tragedy in history. Nokia was at one time bigger than Coke, Pepsi and Toyota. Bigger than Apple and Samsung combined. Now they're barely hanging on with an OS no one wants, save a few Msft fanboys in the US. All of the Lumias combined BARELY sold above the BB10 handsets. And the Lumia line was on the market about two years before BB10 handsets. And Nokia had an even bigger drop than BB. WP will never gain double digit market share in the US. It'll never be a threat to any other OS. People have been rejecting Windows on smartphones for over a decade now. Nobody wants it. Not the carriers. And not the consumers. lol, desperate attemp to justify your bb10 theory... we're talking a new pages here, nokia+wp and the bb10. and if you bring the old nokia to the equation, you'll see its market share is still above bb(rim) even if their sales drop....well, again, except in canada .... google it if you still in doubt, you'll find out that nokia+wp sells better than bb10 handset, and even if that 'barely' is only about couple millions units, its still a success comparing to bb10. and its bb own fault they came too late to the party, lots of delaying after the announcement... and believe me, in the next 2 years, it will continue to drop and won't be able to surpass nokia+wp. "It's funny how Phonearena jumps on BlackBerry but hails Nokia & WP a success. Nokia & WP are only gaining minuscule market share." This post started out so good, then toruned into a somewhat fanboy dialogue. I do agree with what I quoted tho. Its also funny that MS also claims WP a success, firmly in 3rd place while only a few % points away from BB.